The Grande Ronde River snakes through a 40-mile route from Oregon’s eastern border all the way to the confluence of the Snake River. It is one of Oregon’s most popular steelhead streams, but during the summer months Spring Chinook, Rainbow trout, smallmouth bass and catfish are readily available. 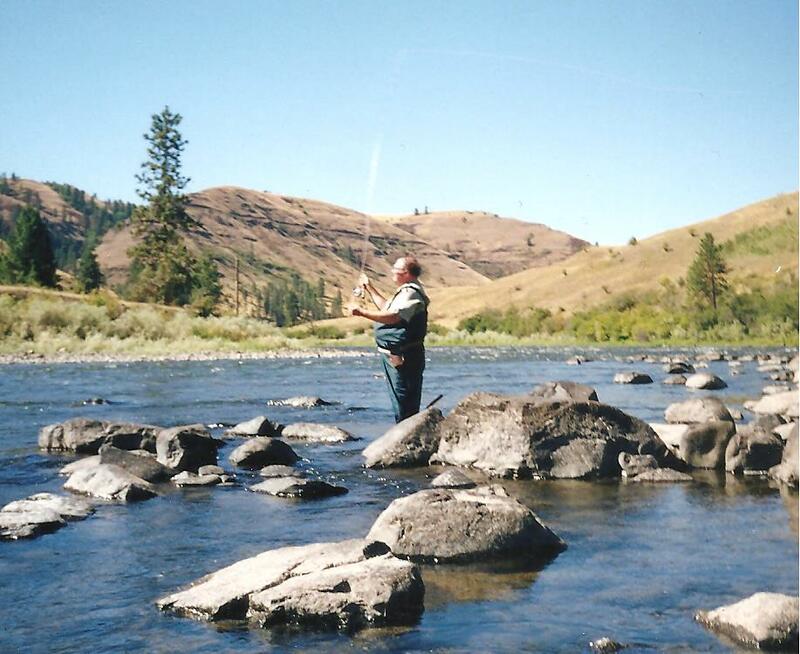 The high desert terrain of the region offers spectacular scenery, clean, fresh air, an abundance of wildlife such as Big Horn sheep, elk, deer, wild turkeys and the steelhead of the Grande Ronde. This is what lured my friend Jim Colantino and I to spend several days at Troy, Oregon to fish this legendary river for Steelhead. However, we would encounter a few interferences that would change our course of action. First and foremost, this river is extremely popular in the fall, and as we drove down the road that paralleled the river all of the campsites were occupied. This unfortunate situation forced us to stay at the old rustic Troy Hotel. Also, the river’s popularity was clearly evident in the car licenses of dozens of other states. Because of this dilemma, most of the good water was taken up by other anglers. 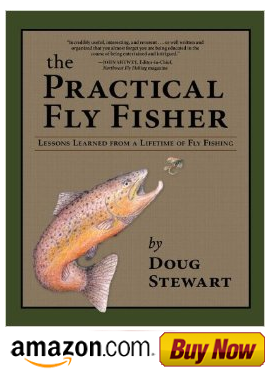 This meant that we would have to fish behind other anglers, fish secondary water or fish for trout. We returned to the hotel and plotted our strategy for the next day. The next morning we found good looking trout water and managed to catch some nice ones using Muddler Minnows and caddis patterns. Things were looking up, but our trip suddenly came to an abrupt halt when Jim’s hip began to give him some problems. The rough, rocky terrain made it difficult for him to walk. Then, I slipped on a rock and cut my knee badly. It was an arduous endeavor for both of us as we hobbled back towards our car. Then, we encountered another problem. A large rattlesnake was guarding the trail that we were on, so we carefully navigated around the potential danger. Because of these unforeseen events, our trip was unanimously aborted, and we packed up and left with some reservations. In spite of this discouraging outcome, we agreed to come to the Grande Ronde once again because it has been said that fishing is not always about catching. It can be a refreshing change from city life and you will have opportunities to look around and enjoy the country’s surroundings and its wildlife.